Cold fusion, despite probably being impossible, is a good idea. Take a process known to create a meaningful amount of power and remove the harmful byproducts (like explosions), and you’ve got a winner in production. The same logic holds true throughout the energy world: we have solutions, but they are often saddled with too many downsides to be workable in the real world. The combustion engine is a great example of this, making use of a readily available and energy-dense fuel while creating increasingly dizzying amounts of pollution. If only we could change the process of extracting that energy, we could make fossil fuels at least moderately more sustainable. Sandia National Laboratories has released a review article detailing the feasibility of Low Temperature Combustion (LTC) diesel engines. It should really be called lower temperature combustion though, but as you’ll see ,even a moderate decrease in heat can have a powerful effect on pollutants. Sandia concludes that LTC diesel could be a major step forward for diesel-powered industry. The study suggests that low-temperature combustion could drive diesel engines forward in a way desperately needed for both the environment and for competition with gas and electric competitors. Since so much of the industrial sector runs on diesel fuel, particularly in transportation of goods, that’s an important step forward for a technology that is often thought of as on its way out. Two of the main pollutants in diesel exhaust are both the results of heat. One, nitrogen oxides (NOx molecules) are formed primarily at the highest-temperature point in the engine, the flame itself. When released into the air, these compounds act as inveterate pollutants but also react with sunlight and other particles in the air to form smog. Particulate matter (PM), on the other hand, results from the roiling cauldron of the combustion chamber, and the small pockets of too-high fuel concentration that arise during the combustion process. According to the Sandia researchers, both of these problems can be mitigated by meddling with the engine’s fuel-air mixture. 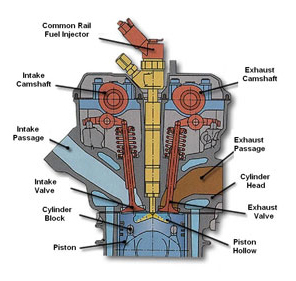 The engine’s own exhaust can be fed back into the fuel-air mixture to absorb some of the heat of the combustion process and ferry it away. This keeps many of the nitrogen oxide products from forming in the first place. Mixing the fuel with additional air just prior to combustion ensures there will be no fuel-rich regions to give rise to airborne particulate pollutants. It’s an elegant refinement of the basic process, and one of that would not make the engines much more expensive to produce — though it might very well make them more difficult to maintain. The air-injection mixing apparatus is not unlike the fuel injection system in current engines, which is already one of the most finnicky parts of the whole arrangement. A conventional diesel engine, with a fuel injection system that results in uneven fuel density during combustion. LTC has traditionally increased the amount of carbon monoxide released, the main greenhouse gas in car exhaust, along with unburned hydrocarbons. It’s frustrating because both of these problems reduce efficiency, which is one of the main advantages of diesel in the first place. This review looks at research showing an improvement in this area after they figured out that it was due to poor mixing of the fuel-air mixture. By splitting the whole the injection process into a main spurt followed by several smaller ones, they were able to make a more even distribution of the fuel-air mixture that burned to completion all throughout the cylinder. This research concerns itself with diesel engines, which can be more efficient but also more polluting than gasoline engines that incorporate high-end catalytic converters to filter their exhaust. If diesel can be made less polluting in turn, the biggest objection to its use on the large scale will disappear. A largely diesel-driven nation would consume less fuel per kilometer, which translates to a big chunk knocked off total national emissions. More immediately, it offers a possible solution to high emissions of vehicles that already use diesel, particularly long-haul cargo trucks. 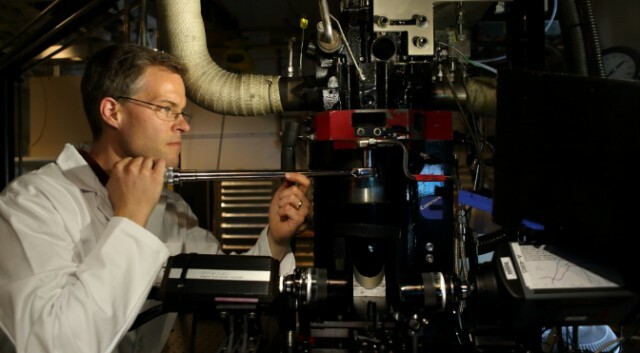 To build their detailed maps of the combustion process, needed to figure out things like the under-combustion of fuel nearest to the injection site, researchers have had to pioneer some truly impressive modes of analysis. The use of two-photon laser induced fluorescence was used for the first time to track the movements of combustion byproducts like formaldehyde, which in turn showed the researchers exactly how the fuel was burning, where, and when.